! - İzdihër - ! : Last night and Biryani. Last night, one of my neighbor got married. We are already super busy in sister's Nikkah ceremony (marriage), so wasn't able to attend it. Only my brother went there. Then around 1:30, when we were almost slept, he knocked, and called out """ Get up everyone, Biryani and Mitahi is here !!!!! " We jumped from our beds out and chow down it. Just two hours ago we had Chicken Karhai and Chapati roti with Pepsi. Well, in front of it, who remembers what we had two hours ago. Can a desi keep off chowing it down ? I have never seen any desi wedding without it. No matter what, it will be the main dish of any event, and we never get enough of it. 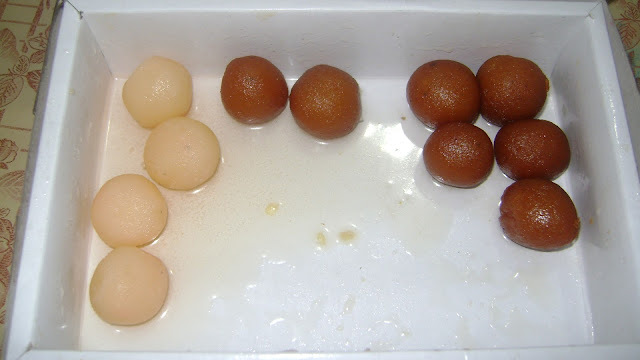 Small size chumchum and Gulab Jamun sweets. I love biryani, especially with lamb. Take care. 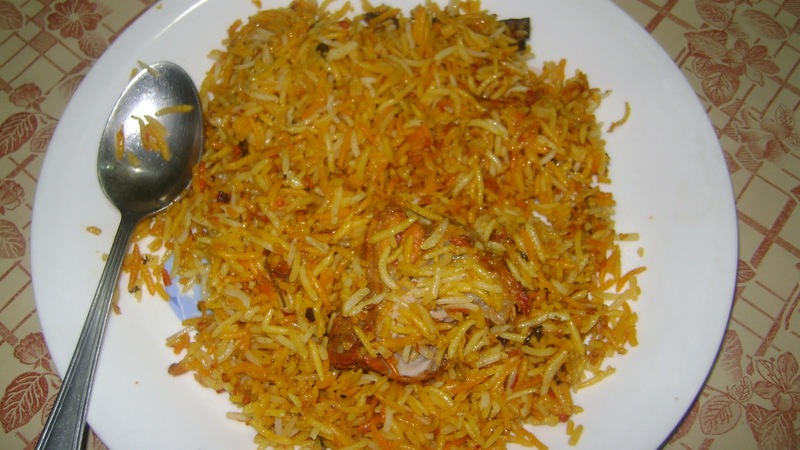 I looked up "biryani" and found what you ALL are talking about here. I have to eat, before I can like. Now...if it were made of chocolate!!!!! Happy feasting, Izdiher:) New Year is a good time to binge!! the desserts look unique ;) i have not seen any around my place.. Girl with the Quixote Curse!